Art Melendres concentrates his practice primarily in administrative, education, commercial and municipal finance law. For more than thirty-five years, clients have sought Art’s expertise when faced with disputes involving education, administrative law, commercial law or public financing. For more than twenty-five years, Art has served as general counsel for the Albuquerque Public Schools, a school district of more than 90,000 students and 11,000 employees. He regularly advises the School Board and the Administration on a variety of issues including employment matters, public finance, litigation, real estate and procurement. Art serves as lead counsel on all significant litigation for the Albuquerque Public Schools. In addition, he has been serving as a registered lobbyist for clients at the New Mexico Legislature for 20 years. Best Lawyers in America® recognizes Art as “Lawyer of the Year” in Albuquerque in 2019 for both Education Law and Municipal Law. He has also been named “Lawyer of the Year” in past years: 2017 for Municipal Law, 2016 for Education Law, 2015 in Municipal Law, 2014 in Education Law, 2014 Administrative/Regulatory Law, and 2011 in Education Law. He has attained the AV® rating from Martindale-Hubbell, the highest rating possible based on a peer review. 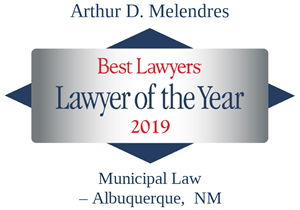 In 2010, Art was named as Best of the Bar – General Counsel by New Mexico Business Weekly and in 1996, Art received the New Mexico Distinguished Public Service Award. 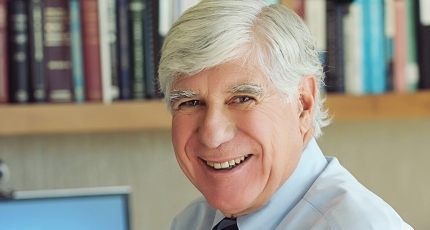 Art served as a member and President of the Board of Regents for the University of New Mexico and as previous president of the Albuquerque Bar Association, New Mexico Association of School Board Attorneys and Young Lawyers Section of the State Bar of New Mexico.